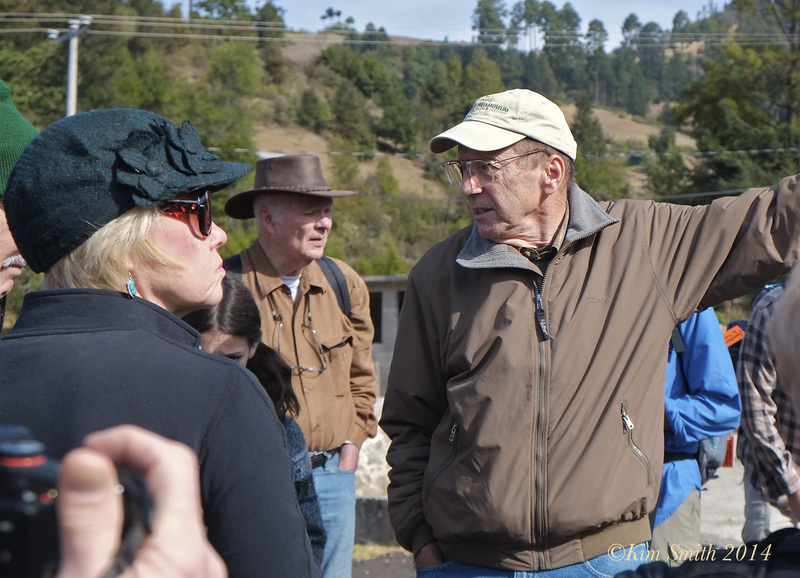 Our expedition to the Monarch Butterfly Biosphere Reserves was led by Tom Emmel, Ph.D. Tom is the Director of the McGuire Center for Lepidoptera and Biodiversity, which is part of the University of Florida’s Museum of Natural History. He is also the university’s professor of zoology and entomology and the author of over 400 publications, including 35 books. Not only is Dr. Emmel a professor and director of the center, he leads expeditions to research biodiversity around the world, including recent trips to Bali to Komodo Island to study the Komodo Dragon (with a great story of how he and his fellow travelers very nearly almost became Komodo Dragon supper), the Galapagos Islands, and Madagascar. 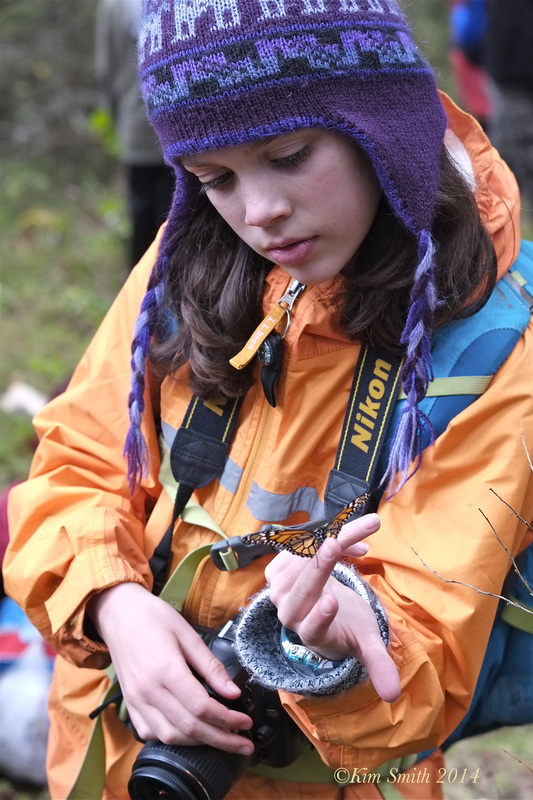 This was Dr. Emmel’s fortieth trip to Angangueo to study the Monarch Butterfly migration. His first trip was in 1980 with Dr. Lincoln Brower who had, at the same time as Dr. Fred Urquhart, discovered the Monarch colonies in 1975. In those first early years of conducting research at the biospheres, Dr. Emmel and Dr. Brower traveled on old mining roads, rode horseback to the colonies, and camped in tents. Today, there are well-marked trails with options for either hiking or horseback riding. On the second day of our expedition, I interviewed Dr. Emmel at the top of Sierra Chincua Monarch Colony. 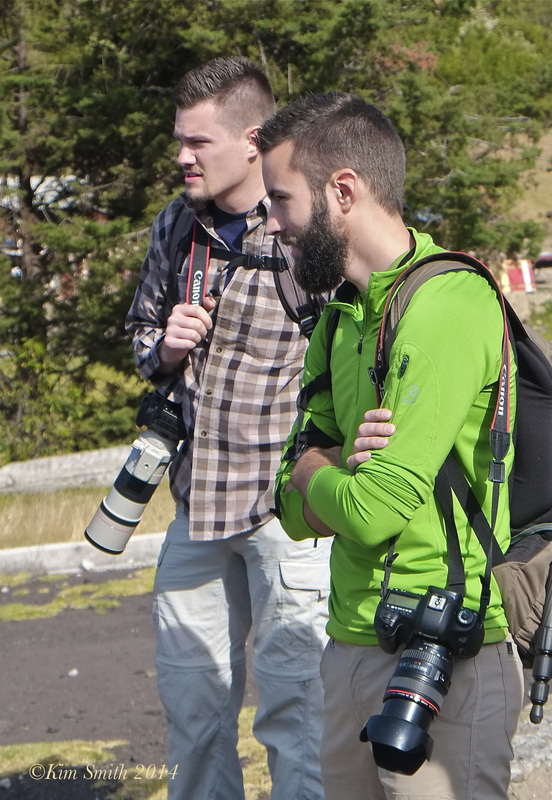 He was also interviewed by a Mexican television crew at the summit of the Sierra Chincua biosphere. I am in the process of editing the interview footage and will have that ready to post in the near future. 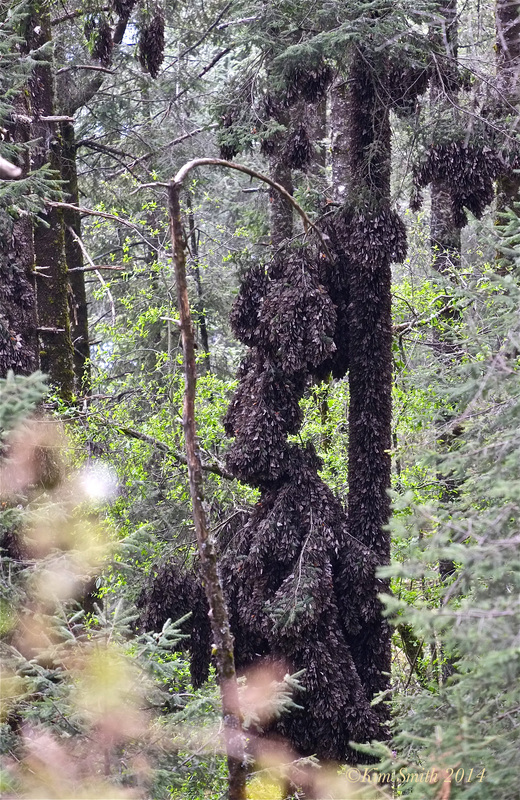 Amongst the many aspects of the Monarch’s migration discussed during the interview, Dr. Emmel reveals exactly how one counts millions upon millions of Monarchs and offers several theories as to why the butterflies migrate to the very specific climate zone of the Trans-Mexican Volcanic Belt. We cover the subject of Monarch conservation and precisely how Monsanto’s GMO genetically modified Roundup Ready corn and sorghum, and Bt-corn, are indisputably deadly to the Monarchs. You’ll be surprised at the results of the research that was conducted on our journey in regard to the numbers of Monarchs counted in the biospheres. This photo was taken early in the day, before the butterflies awaken in the sun. You can see that the limb of the Oyamel tree is so heavily laden with butterflies, it appears as though it will snap at any moment. And oftentimes, the limbs do break! The butterflies scatter and then regroup to another location. Meeting Dr. Emmel and fellow expedition travelers was one of the most interesting and exciting aspects of the journey. You can’t imagine traveling with a more knowledgeable expert than Dr. Emmel. He is not only a world authority on all aspects of the Monarch’s migration, the history of the development of the biospheres, and the community of Angangueo, he also has extensive knowledge about a wide range of wildlife species and topics relative to biodiversity and the natural world. He shares the information generously and with a sense of humor, too. Dr. Emmel’s assistants, brothers Ian and Craig Segebarth, are two of the brightest and most helpful young men you could hope to meet. Marie Emerson, who works in the development department at the museum was a joy and also super helpful, as was Josh Dickinson, who was traveling with his wonderfully fun granddaughter, 5th grader Zoie Dickinson. Josh Dickinson has spent a lifetime consulting on forestry management and he will be helping with forestry management at the Monarch biospheres. Josh also speaks Spanish very well and was tremendously helpful, especially when I locked myself out of my hotel room! Thanks again Josh for your kind assistance! This entry was posted in Angangueo Michoacán Mexico, Monarch Butterfly Film, Monarch Butterfly in Crisis, Monarch Butterfly Migration in crisis and tagged Angangueo Michoacán, Craig Segebarth, El Rosario Biosphere, Expedition Travel, Ian Segebarth, McGuire Center for Lepidoptera and Biodiversity, Mexico, Monarch Biosphere, Monarch count, Monarch Expedition, monarch migration, Sierra Chincua Monarch colony, Tom Emmel, Zoie Dickinson on March 10, 2014 by Kim Smith.